The Lower School consists of Kindergarten through Fourth Grade. Beaufort Academy is dedicated to a safe and nurturing environment. Math: Teachers and students utilize the Eureka Mathematics Program that builds a strong foundation for each child. Eureka Math connects math to the real world in ways that take the fear out of math and build student confidence—helping students achieve true understanding lesson by lesson and year after year. Language Arts: The language arts program includes reading, phonics, spelling, language, and writing activities, taught in an integrated manner. Students are placed in guided level reading groups after initial and continual assessments using Fountas and Pinnell Benchmarks. The reading groups focus on comprehension and decoding, allowing students to move from learning -to-read, toward reading -to -learn. Word study is phonics based, incorporating spelling and language, allowing for differentiated instruction. Writing is woven through all subject areas using the 6+1 Traits of Writing™ creating portfolios to track student progress. Science: Lower School science works on building background knowledge in a wide range of content areas, including life, earth, and physical sciences. Content is presented in reading activities, as well as exploration. Students explore using the scientific process in an interactive way, recording and analyzing data. Our campus allows for environmental study and investigation. Social Studies: The Lower School social studies focus is on personal, social, and civic responsibilities in society. Through the study of periods of time and historical figures, students are able to learn about government and economics, geography, climate, and cultures. Social studies is also introduced through holidays and celebrations during the calendar year. South Carolina history is the focus of third grade studies. Why America is Free™, a fully immersed study of the American Revolution, and the US regions are the areas of study for fourth graders. Media Skills: The Beaufort Academy library program for the lower school is a fixed- schedule weekly class covering three different content areas: literature appreciation, library orientation, and information finding and synthesizing. The goal of the Media Skills program is to develop life-long learners – students who are independent users of information for both enjoyment and academic purposes. Music: Students in the Lower School are exposed to music by singing, dancing, moving, and playing instruments. They study and practice all of the elements of music, including pitch, dynamics, timbre, rhythm, melody, and harmony. The students successfully learn all of these elements through vocal and instrumental training (specifically the hand chimes and recorders), as well as through directed movements. In addition, each Lower School student participates in two music productions each year. Physical Education: The Physical Education program at Beaufort Academy follows the standards that are directed by the National Association for Sport and Physical Education. The students are encouraged to exhibit a physically active lifestyle and maintain a health-enhancing level of physical fitness. Throughout the program the students are taught to understand that physical activity provides opportunities for enjoyment, challenge, self-expression, and social interaction. The students are introduced to a variety of sports and encouraged to participate in extracurricular activities that involve physical fitness. The goal of the Physical Education program is to encourage students to enjoy a healthy lifestyle that includes regular physical activity. 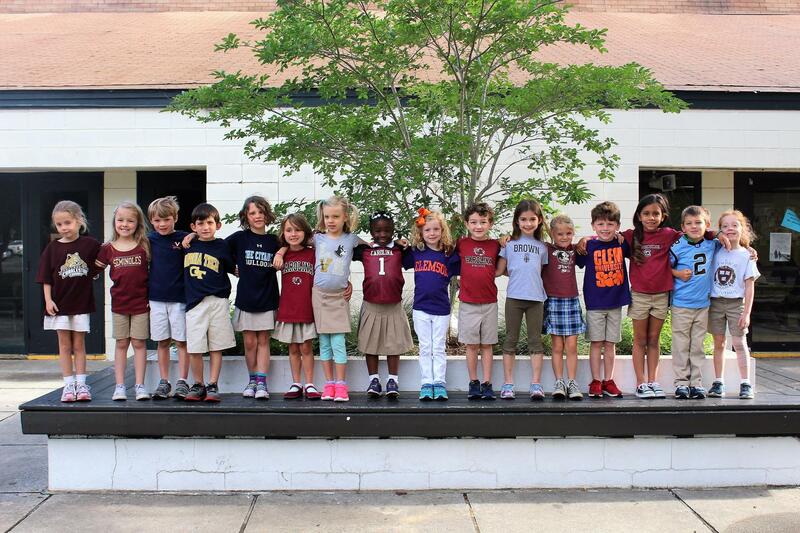 Spanish: Lower school students are introduced to the use of the Spanish language in a practical sense. Students are engaged in several ways: speaking, listening and looking while using the total physical response method of learning (TPR). They are exposed to different Hispanic cultures and customs that assist in the proper usage of the language. Students are given the opportunity to expand their knowledge of different cultures and develop social interaction with enjoyment and pride. Technology: Students are taught basic computer skills in the lower school through many means: as part of their lower school library visits, within the individual classrooms through their teachers, and through active collaboration between their teachers and the media specialist as an integral part of a curriculum unit. The students are taught basics such as the parts of a computer, computer care and file management, keyboarding, and the use of the computer for research, creativity, communication, and refining the inquiry process. Visual Arts: The Beaufort Academy Lower School art program is a creative process that allows for choice, exploration, and imaginative expression in a pleasant, supportive atmosphere. Students are encouraged to make a personal statement through their art. Students are taught a variety of media, tools and techniques. The art teacher and the classroom teacher work together to create art that relates to what is being studied in the classroom.